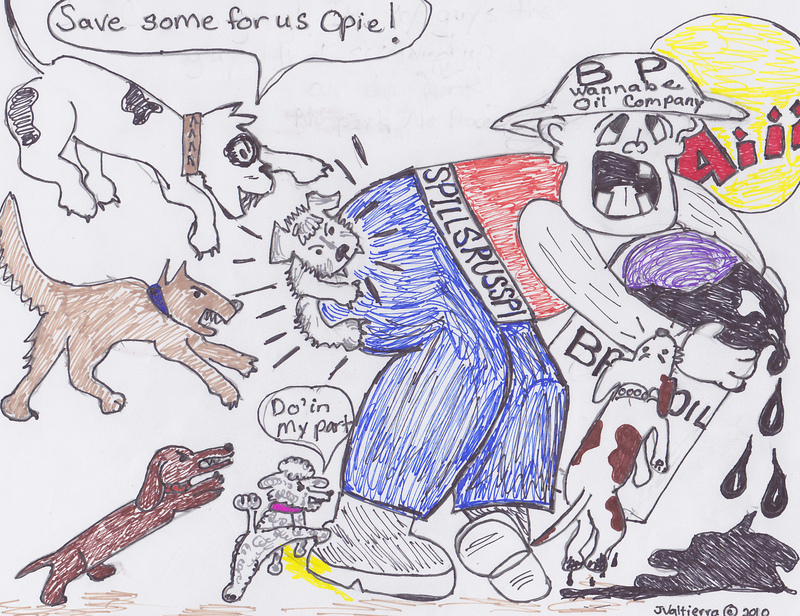 This entry was posted on Tuesday, November 16th, 2010 at 1:09 pm	and tagged with BoneYard, dog behavior, Dog park, Opie cartoons and posted in dog behavior, Dog Park, Opie Cartoons, Snorkie Musings, The Bone Yard Dog Park. You can follow any responses to this entry through the RSS 2.0 feed. « Opie’s Sixth Day of Crate Training — Mama Disappeared! I know what you mean about energy and getting into trouble, Opie. I wonder if our Mom’s could bottle some of that energy? They’d be rich!!! You are right, Opie. Go get those good- for- nothing, squirrel lovin oil folks.